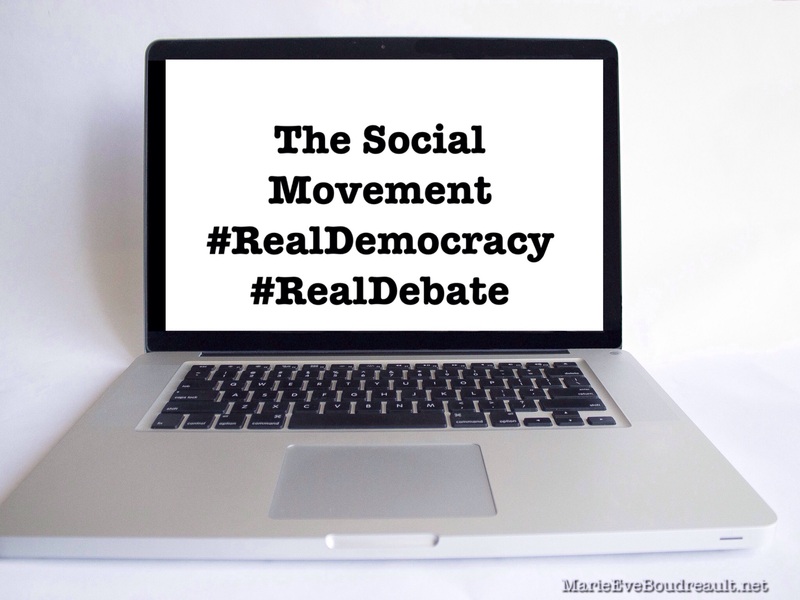 The Social Movement #RealDemocracy #RealDebate: When Will We Have A Real Direct Democracy? Yesterday there was an election in Quebec. And I feel ripped off, not only because of the results – sorry, but the Liberals support actions that are sabotaging our environment. No, I’m sad because I guess I still had hope for a real democracy right now, and I can’t see it in the choices we made. 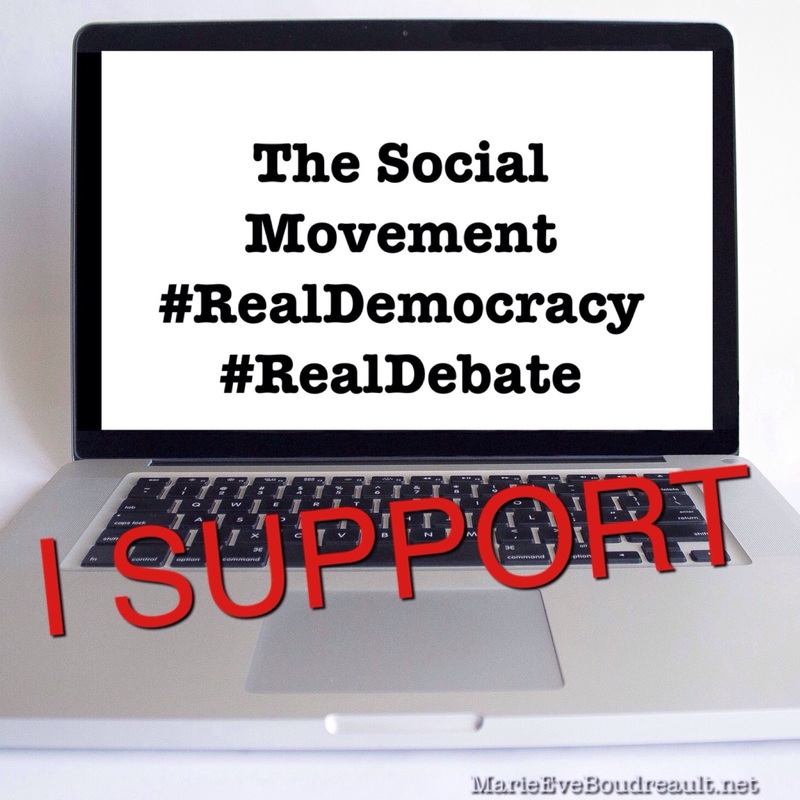 Voting once in a while unrepresentative candidates who then follow a party, where a few of those decide in our name without consulting us but paying ”partners”, is not a true democracy. It’s kind of a joke. It resembles more of a dictatorship. I can’t wait for true transparent representative democracy where people come first and citizen requests are listened to. For online voting on each decision and law. For living well together in a peaceful anarchy, where we are our own kings and queens. If it can happen any time soon, the better. In the meantime, we have to ask in any way we can for this joke to stop. 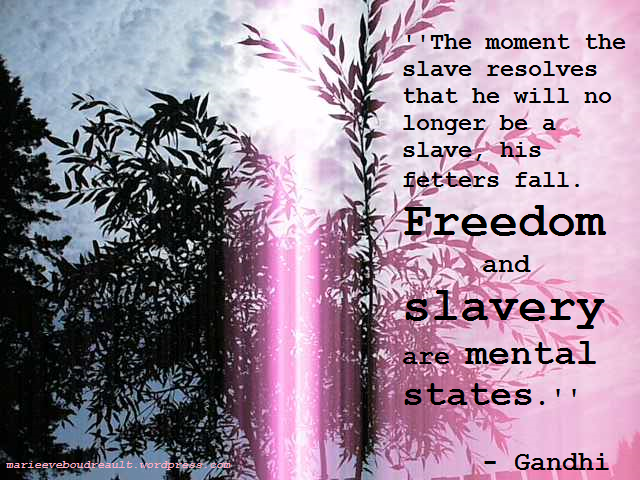 To be the masters of our fate in our refusal to be sheeple in this delusive system. Even though our zen selves can know All is well on one level of reality, in our day-to-day life, it’s not funny anymore.